Together with the released test firmware based on Android 4.1.2 version XXDLJ2, the Android Revolution team has ported their Custom ROM to this firmware base. Android Revolution ROMs are known to be very stable, fast and with great battery life. These are just some of the features that the Custom ROM has, but there are a lot of other features also. !!! Before proceeding with the installation, keep in mind that installing custom ROMs is not 100% safe and there may be damage inflicted to your device. So if anything happens to your phone, we cannot be held responsible for it. make sure you know what you are doing before proceeding further. Download Android Revolution HD for Galaxy Note 2 and place it on the SD card. This is it. 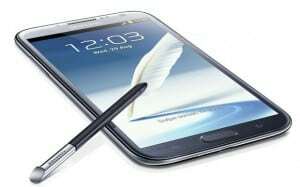 You now have Android Revolution HD 5.0 installed on your Galaxy Note 2.